Sometime in late 2014, a lanky, dark 50-year-old man with a fierce demeanor and a criminal past drove a Prado into the Uhuru Park lot. 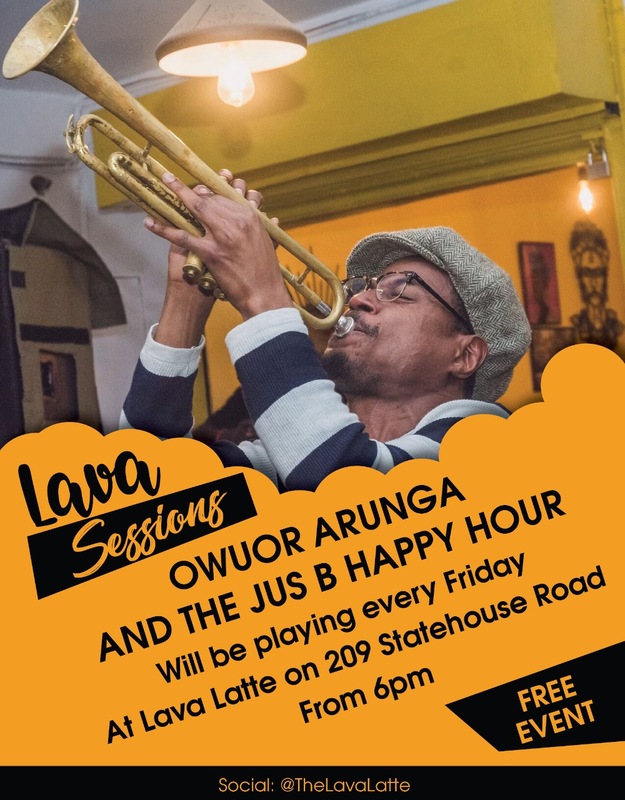 The lot cuts through the park from Kenyatta Avenue to Haile Selassie, and of all the spaces within the park that offer anonymity, it is the most fluid and open. The man, John Linus Wachira, was there to meet Betty Tett, a former Nominated MP. Seated in the back seat of Betty’s car, Wachira later told the police, he was briefed on an elaborate, albeit still sketchy plan. She needed him to kill a guy, a business rival, and promised to pay Shs. 200, 000 to get started. He was clearly the man for the job, as his criminal record past shows a man with considerable credentials in the shady underworld. For his extensive connections, his fellow remandees during his earlier stints called him The Chairman. The October meeting, according to Wachira’s statement in the original court files, featured Betty’s biological son Ken Tett. In Wachira’s story, Ken was his mums right hand man. He did most of the actual leg work while his mum provided the ideas and the money. Ken drove Wachira to find the quarry, Andrew White, Betty’s business rival. Wachira claimed he was paid 200,000 and then 100,000. His asking price for the entire job came to 3 million, and in his statement, Wachira counted his total payments at that point to 1.5 million. He used Shs. 70,000 to buy a motorbike at the end of November, which the police would found in his rural home after he was caught. The deadline was December 12th. John Linus Wachira, from Katheru in Kerugoya, is an ambitious crook with the right connections. Wachira has prominent vitiligo that peaks on the right side of his lips, near the edge, looking like a piece of light duct tape or an old scar. Because of it, he sub-consciously purses his lips. Body language classes teach that pursed lips may indicate frustration but in most cases, are a classic indicator of suppressed anger. In his first statement to the police, written out in Kiswahili, he claimed he met the motherly former legislator long before December 2014. He worked in her campaign team, a claim she denied repeatedly. 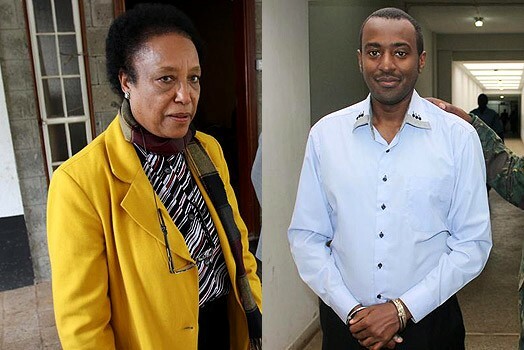 The part they both agreed on was that they communicated via David Tett, Betty Tett’s adopted son, when David and Wachira were both in remand in 2011. In September 2011, David, known to his family as Billy, grabbed the headlines in a bizarre story where he attempted to murder his father in a violent midday robbery. He and two accomplices raided his parents home in Karen at 1 pm on September 6th, 2011 and robbed the older Tett of Shs. 157, 000 worth of items and cash. Betty wasn’t at home at the time, but inexplicably called the police to go to her house. The two other robbers were shot dead, but David somehow managed to drive out of the compound and was only later arrested on Mombasa Road. The details of the robbery itself vary depending on who is telling the story. According to his father, David and his two accomplices robbed the home. David tried to shoot him at some point but the gun did not fire. According to David, the robbers carjacked him and used him to get into his parents’ home. They were both shot and killed in a gunfight after a farmhand raised the alarm and alerted the police. Mysteriously, the bodies of the two dead accomplices were found naked when the police arrived. David had a troubled past, losing his biological mum at an early age. According to an extensive interview his foster mother gave after his conviction, he had impregnated a girl when he was 17. He then quit school and disappeared for several years, returning as a prodigal son. He was found guilty and handed the death penalty. In his appeal, he drew an elaborate conspiracy involving his parents and siblings, the three other children of the prominent couple. David “Billy” and his mum Betty. In remand prison, he met Wachira. The precise relationship between the two of them is still sketchy. Betty would later say that Wachira began feeding her information on her sons continuing plans to kill her and her husband. Billy, on the other hand, quietly filed a complaint that someone in his block was trying to kill him. He said the person, Wachira, had been hired and been paid by his mum to poison him while in prison. The two stories didn’t tally but for the fact that someone, either mother or son, was trying to kill the other. And that Wachira was somehow involved, two years before the story of an elaborate albeit careless murder conspiracy occupied the New Years Eve headlines. In Betty’s version, she and Wachira hardly knew each other. Her statement suspiciously poked holes on all the points Wachira had made in his, a point-by-point rebuttal. She was even given the opportunity to record another statement, two days later, to refute an allegation he had made that shed missed in the first one. It wasn’t a relationship, she argued, but more of her occasionally helping him because he constantly needed support for his family. She said she tried to avoid taking his calls. A recently leaked phone-record report, part of which formed the original investigation file, shows over 124 mobile phone calls between Betty Tett and John Wachira during the last two months of 2014. Communication between Betty and Wachira began to build in November 2014, the same time he said he got the job. That same month, another long call happened, lasting around 9 minutes and was immediately followed by a call by Betty to her imprisoned son David. On one of the days Wachira claimed they met at Uhuru Park, 9th December 2014, both their phones pinged on cell towers around the park. Betty’s pinged at the nearby Capitol Hill Towers one for 30 minutes. There was communication almost daily in December, and it seems the initial deadline was shifted. On December 23rd, 2 days before Wachira made contact with Andrew White, Wachira and Betty exchanged several calls in the morning, immediately followed by a flurry of calls from Betty to KCB, then another dozen calls to Wachira and then back to KCB. She later, again, called her imprisoned son. Whatever was happening, Billy may well have been in on it. The deadline shifted several times. Wachira called Betty on the 24th of December, at 11:49 am, and they exchanged six more calls before 1:20 pm. In the afternoon, Wachira switched to texts, saying in his first one “Mum, though ur not happy, I as ur son will make u happy don mind. So pls assist me with 20000 for Christmas I will shot u out by January pls pls help or u send thanks gdy and happy Christmas.” The most interesting of these texts was sent at 5:09 pm and said “Martha karua harisema ata fanya kazi kama amefungwo mdomo even me I av given up nasita kupigea tena peana kazi” (Martha Karua said she wouldnt work if her mouth was shut, even me Ive given up I wont call again, give the job to someone else). On Christmas Day, Wachira woke up the next morning to a call from Betty that lasted 15 mins. Soon after Wachira sent her an SMS reading “Then what Im going 2 do don brame me. He took it a notch further Mungu moja umenitesa yakutosha. Wacha nikose kwenda Christmas nawe don regret it will be read in tha newspaper 2morrow” (I swear you have tortured me enough so fine, let me not have Christmas and also you then dont regret it will be read in the newspaper tomorrow). As the guard went to fetch White, Wachira sent a text to Betty from Andrew White’s gate reading simply “Tha man is called Andrew.” Wachira had struck home. In the next few days, Wachira and Andrew exchanged 33 SMSs. The would-be hitman outlined the plan to kill White by someone “high in Government”, and demanded Shs. 3 million as refund for backing off. Andrew lured him to a meeting within the next few days that ended up with his being arrested at Safari Park at 1:20 pm. As soon as the story hit the evening bulletin, Betty called a lawyer, John Were, who would become Wachiras lawyer. Were completed an interesting triangle that pulled at cross-purposes over the next few days. When she finally turned up at the police station, after first claiming she had been hospitalized for an ultrasound, Betty refuted Wachira’s murder plot story completely. She had sent Wachira money to help different members of his family, and only remembered meeting him at the St. Paul’s Church parking lot. But that didn’t explain why she seemed to have furnished him with a lawyer and continued to help him after he had accused her of leading the conspiracy. On Wednesday the 31st of December, Wachira was taken to court to take a plea. And Betty got a text from Wachira through a court bailiff. The text simply said “Niko court namimi mgojwa sana ata ni pelekwa Kenyatta usiku pls timana pesa ya bond thanks Wachiira” (I’m in court and Im very sick I was even rushed to Kenyatta hospital at night please send bond money thanks Wachiira). Betty called 11 minutes later for 12 seconds and tried later at 10:38am after calling Wachira’s lawyer, John Were. The case fluctuated over the next few months, with the investigation running over hurdles that suggested a conspiracy to kill off the story. It was multi-pronged and devilishly effective, managing to stunt the obvious eagerness with which the initial investigation officers had gotten the case prosecuted. Wachira recanted his initial statement, claiming he had lied to the police. Billy, in prison, made a curious statement that absolved his mother of all blame and solely blamed Wachira as an extortionist. It was suspect because it “explained” a complaint he had made to prison authorities on 3rd September 2012, claiming Wachira had confessed to him he had been sent by Betty to kill him through poisoning. That report included evidence that Betty had sent Wachira Shs. 6, 000 for the job. David also claimed that Wachira had learnt of Andrew White through him, two years prior, and not through his mum. David closes the statement with “my mother has not visited me or talked to me,” suggesting he was doing it of his own volition. He left out the part where he had openly confessed to owning a phone in prison. 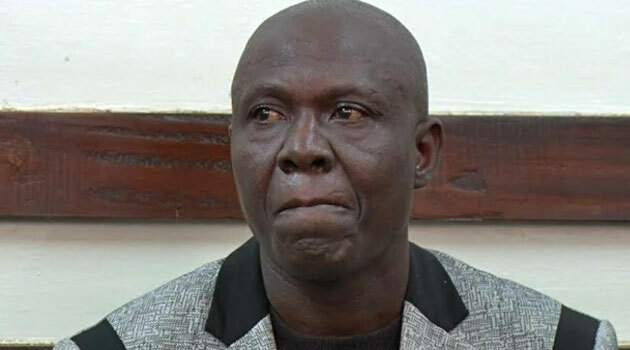 In the forensic audit of the phone records, David and his mum had talked, repeatedly, before and during the time Wachira claimed he was given the job to kill Andrew White. Almost everything else fell like a deck of cards after that. To help absolve Betty and remove her name from the charge sheet, the police retrieved only a statement of her Standard Chartered bank account and conveniently ignored her KCB one. The audit of phone records, partially rebuilt after Wachira’s phone was seized, was ignored. Charges were dropped by the DPP as evidence of payments could not be established. And the charge against Wachira was dropped to the lesser crime of feeding false information to a public officer. Wachira was taken at his word that he had never banked more than Shs.100, 000. His bank statements showed he had had barely Shs.10, 000 at the end of November 2014 but he still purchased a Kshs 70,000 motorbike in cash. In the months in-between these two events, Andrew Whites lawyer at the time, Cliff Ombeta, claimed the DPP was under intense political pressure to drop the case. The pressure worked, roaring through Kenya’s justice system to, first, cut the prominent lady from the case and then get the would-be assassin off the hook. Phone records from Betty and Wachira’s lines were within the file but they were conveniently ignored, killing off the link that Wachira had sensationally claimed in his initial statement. What about the big man? The trajectory of the Betty Tett case is an all-familiar one. Whenever a prominent person is accused of a criminal offence, the first defense is a sudden illness or doctors appointment to avoid arrest. The case, even where evidence is overwhelming, slowly but deliberately crumbles and in most cases, never sees the light of day in an actual courtroom. It isn’t just a system of impunity but one that places a socioeconomic barrier to legal punishment. In Betty’s case, the pressure to drop her name from the charge sheet was said to come from multiple sources in high levels of government. The same system that convicted a man for stealing free newspapers in 2015 seems blind to even more serious cases involving people with the right socioeconomic status. The few cases that have ever made it to the courtroom, like the Betty Tett and John Wachira one, never survive the justice system. The DPP’s office, culled from the Attorney Generals to bolster its prosecution powers, seems reticent to prosecute the rich and powerful. Its independence has always been questionable, winning no single conviction against a prominent person despite multiple investigations and cases of corruption and other crimes. That no single prominent person has ever been tried and convicted for Kenya’s most high-profile assassinations in the last five decades is telling. In the words of the man, cursed by his socioeconomic status, who hanged for killing Tom Mboya, “What about the big man?” Or woman?